The 4.5" diameter motor brush kit seen here is designed for use of 112 # thrust Minn Kota trolling motors manufactured in 2015 or later. 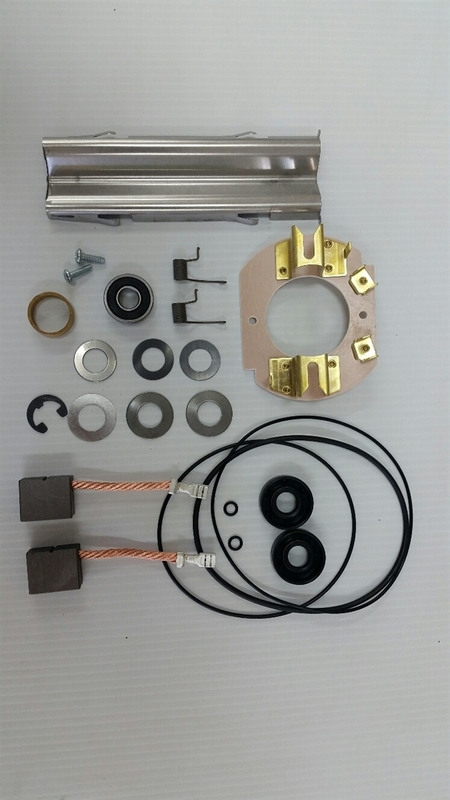 The Minn Kota brush kit for motor units having a 4.5" diameter lower unit includes all parts needed for a complete lower brush rebuild. Parts include two new brushes as well as the brush springs and the brush plate assembly. You'll also receive all the necessary washers, including a steel washer, a Nylatron washer, a thrust washer and two Bellville washers. Two brush plate screws are also included, along with a ball bearing, an E clip, a retaining clip and a seal kit. Minn Kota Lower Unit Brush Kit for 4.5" Diameter Motors.